If you mostly rely on the search engine traffic on your web site, you might be regularly searching for new ways to increase the traffic flow by following new search engine optimization techniques and such. As a blogger I would like to get higher positions on Google search to maximize the visitors and keyword targeting is the best way to do that. 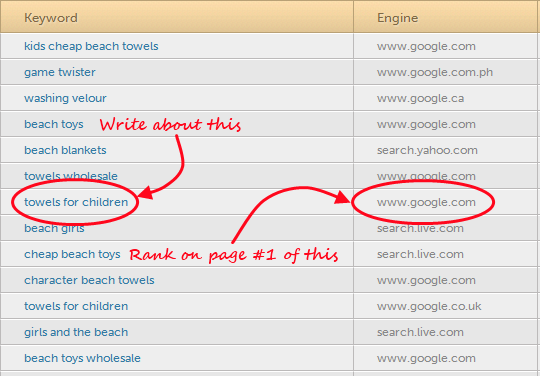 I have recently discovered about HitTail, which is basically a advanced, keyword suggestions and tracking tool. HitTail offers a free trial to try out their service and I decided to give it a try to see what it can do for me. Implementing HitTail on your web site is really easy. The process is same as you insert a Google analytic’s or any other tracking code to your web site. Just copy and paste the tracking code on your header or if you are using a wordpress web site, they have a plugin which does the job for you. This is where HitTail really outshines other type of analytic programs. It will display you the keyword suggestions based on already incoming search terms and it will also display which search engine to rank on like you see on above screenshot. So does HitTail worth your money? Yes its expensive as the minimum plan is being the $9.99 and it only supports maximum of 4000 visitors per month. Pro plan costs $19.99 and it supports 10000 visitors per month. So if you have a fairly large blog or web site it can be expensive and you might even think that its unrealistic for a keyword suggestions tool. But I should say that if you are receiving a decent income from your blog or web site your investment for HitTail wont disappoint you. It will help you to attract more visitors by using the suggested keywords thus increasing your income. Its too early for me to include my idea’s about the accuracy of those suggestions because I have only started using HitTail about 15 days ago and I really haven’t had time to start writing based on those keywords much and I should say that about 50-60% of suggestions it displays are little bit hard for me to write content on. But I can see a decent amount of good suggestions that I can possibly use to rank better. So if you are interested its worth it to give HitTail a try and see what it can do for you. Penguin 2.0 is now in effect! Are you seeing any changes? Does changing servers affect Google rankings?